Why are these objects transparent everywhere? 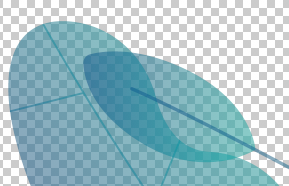 I am trying to export leaves and branches from Illustrator. I would like the area which is not branches and leaves to be transparent (the white part in the image below), and the area which is leaves and branches to be entirely opaque (green part below). ＾ But when I drag them into Photoshop (or any other app! ), the leaves are transparent! 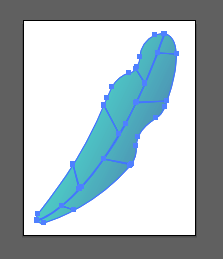 Why, oh why, cannot the produced file match the Object's transparency settings? 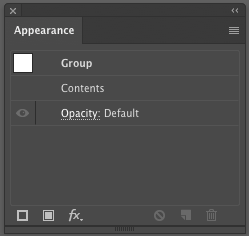 Expand the <Group> in the Appearance Panel and ensure the objects within the group are also set to 100% opacity. 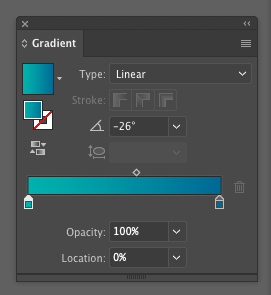 Opacity will "stack". Meaning Object opacity is separate and independent from Group opacity. You can easily have 70% opaque objects inside a group which is set to 100% opaque... which results in a 70% opaque appearance. The Appearance Panel, by default, merely shows the Group opacity. 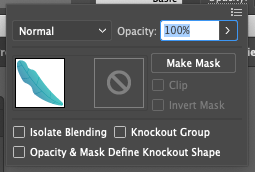 You have to "delve deeper" into the appearance to see the object opacity setting(s). Yeah, it's kind of hidden. But the logic as to why the group reflects 100% Opacity, when the objects inside the group are not 100% opaque is sound logic. Not the answer you're looking for? 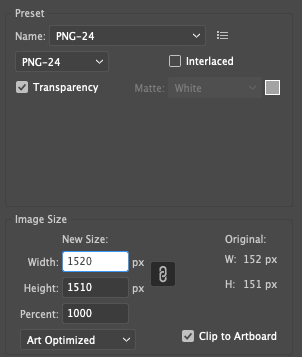 Browse other questions tagged adobe-illustrator transparency png or ask your own question. Why are the lines of one object darker than another behind another object of 50% opacity?